Gaming laptops are either huge devices that feel like a workout when you carry them or thin enough to fit in your backpack but pump out barely enough power for 1080 gaming. They’re also loud as heck. 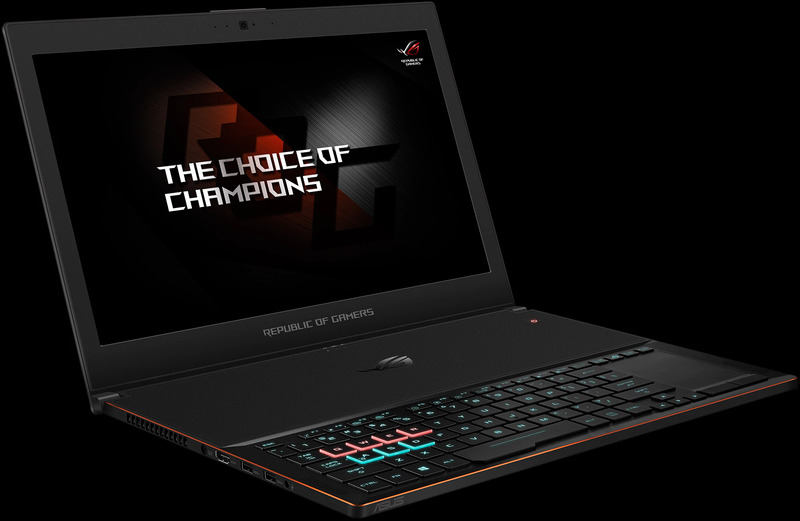 Marketed as the world’s thinnest gaming laptop powered by a GTX 1080, the ROG Zephyrus GX501 is most definitely so. A new generation of laptop, the Zephyrus offers the performance of a high-end desktop while being as light as a feather. As a gamer and only using a laptop, the Zephyrus is brilliant in meeting both the demands of being portable and powerful. While the battery life is somewhat compromised, ASUS have produced something with innovative design, a vibrant display, brilliant speakers and an all-around incredible performance. 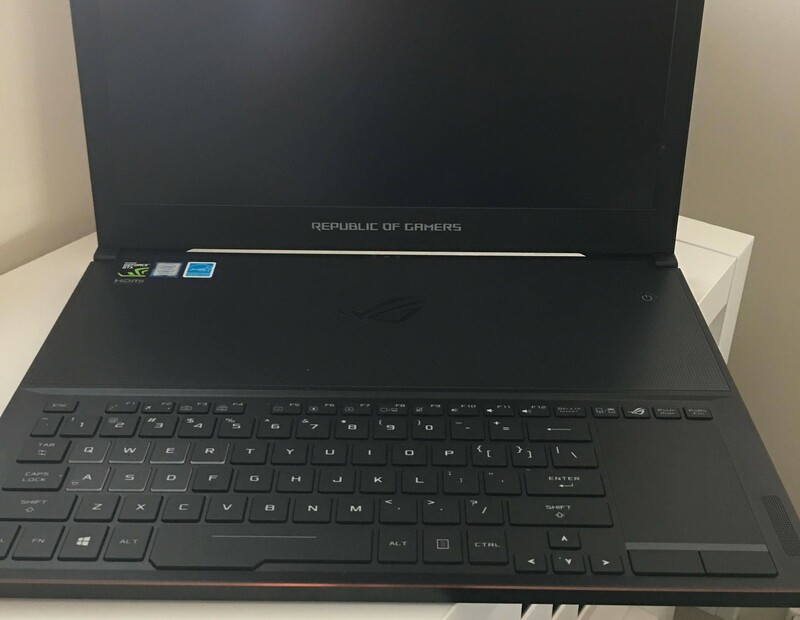 The design of the Zephyrus is quite unique in being able to accommodate a Nvidia GTX 1080 into a 1.79cm-thick laptop. It’s equipped with a 15.6” full HD 1920×1080 resolution display with 178˚ wide-view angle technology and a 120Hz refresh rate. 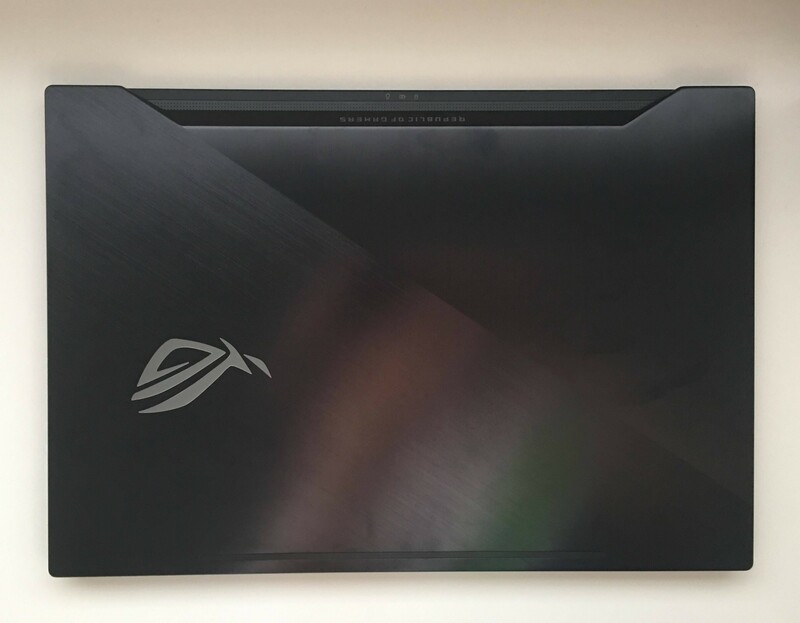 It’s slimmer than most classic laptops and features an incredible airflow system. When the laptop opens, a panel at the bottom of the chassis raises to increase the airflow volume by 20% and improve air circulation. No need to worry about overheating too quickly with this bad boy. The panel does feel rather fragile, but it’s not too noticeable. Performance aside, the Zephyrus is beautiful and sleek with an all-black metal exterior copper trimming that is a calling to the style of futuristic technology. It’s honestly aesthetic as hell with the customisable Aura RGB lighting technology that lets you play with lighting effects. I’m all for the rainbow look. The keyboard itself has shifted to the front of the chassis for a more gamer-friendly experience. It was rather different to what I was used to, but the decent sizing and space felt natural. The touchpad to the right took some time to get used to it as I found myself accidentally tapping it. However, its functionality is not lost as it can shift from the touchpad to number pad with the press of a button. With Christmas just around the corner, this is the perfect gift for any avid gamer. This stellar laptop retails for $4999 AUD, which is a pretty big price tag for a laptop, but it’s worth the splurge.